* For answers to questions about this item call . - There is a $50 surcharge for residential deliveries. -There is a $60 surcharge if a lift gate is needed. 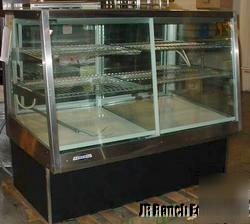 - We only guarantee that the unit works when it leaves, as all units have been tested in-house. - We will help solve problems if they occur, but we must be called before there are any repairs done to the unit. On walk in refrigeration only cash or wire transfers are acceptable. Money orders or certified checks only if sent by certified mail. We no longer accept personal or business checks. For fastest processing of this order, please use Vendio Checkout!